If Booster Gold stole two super powers and then stole nine more, how many super powers has he taken in all? If Booster Gold had eight costumes and Doomsday destroyed six of them, how many costumes remain? 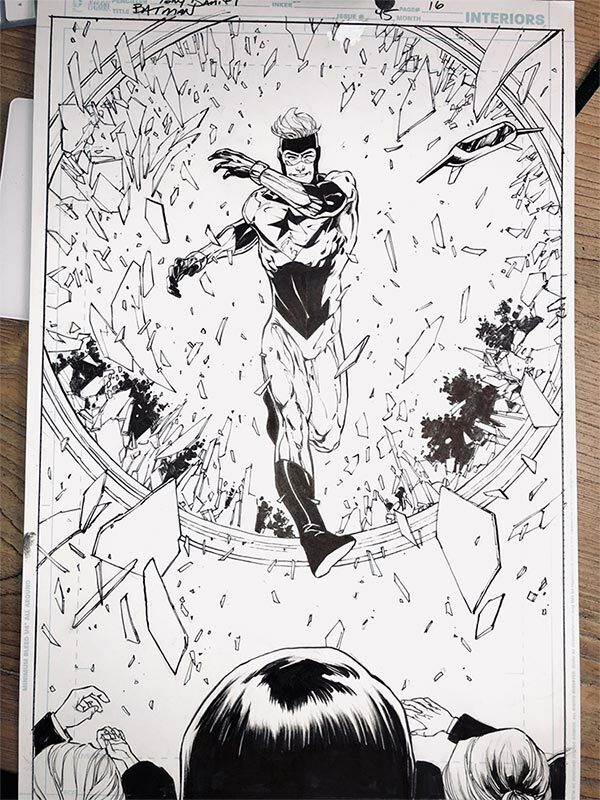 We're still a week-and-a-half away from Heroes in Crisis #5, but what appears to be its title page turned up on reddit earlier this week. Feast your eyes on this! 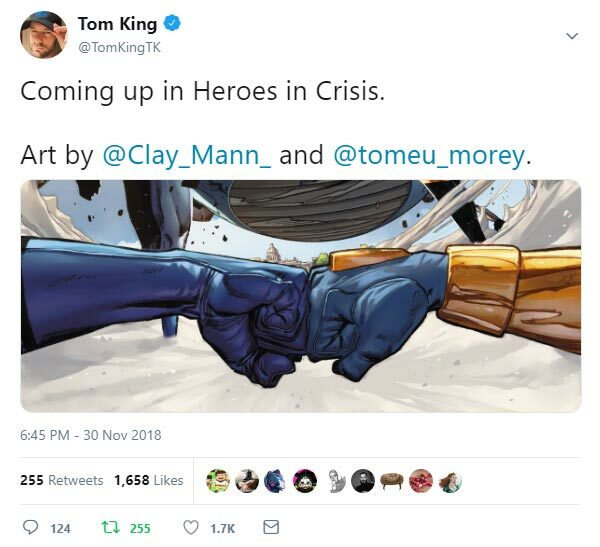 That's Clay Mann's art, all right. He's really quite good. 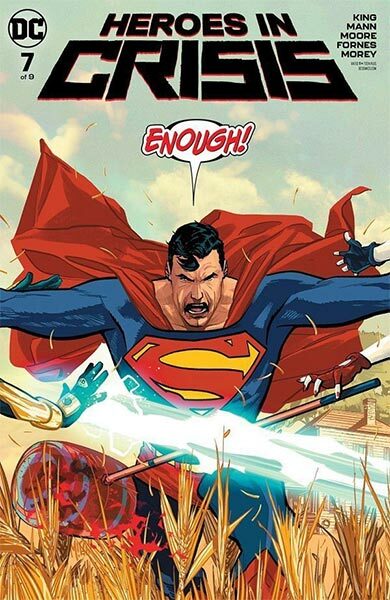 In fact, he's the best thing about Heroes in Crisis. 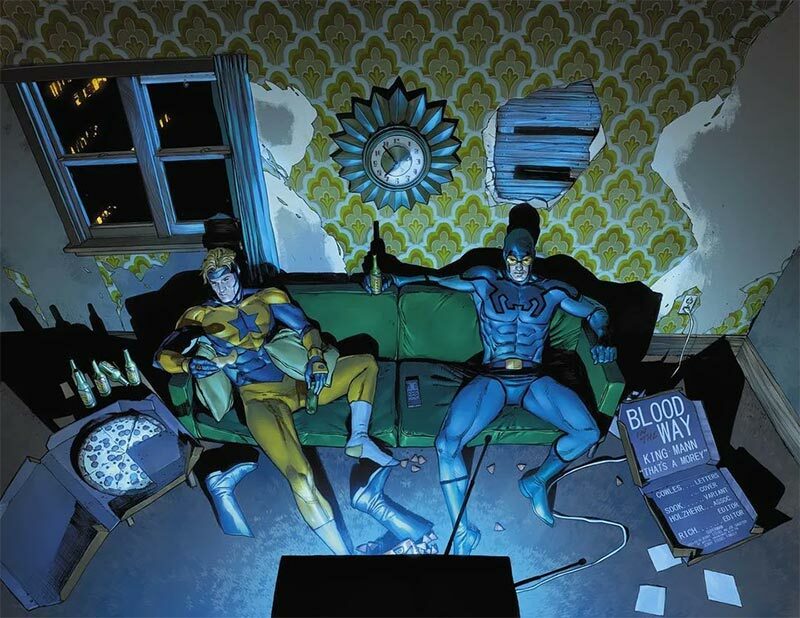 For the record, DC, I'd buy a book of splash pages of Blue Beetle and Booster Gold hanging out eating pizza and drinking beer. Can we make that happen? I like how all the items on the wall (including the wallpaper) spell the word "Heroes", while shoes, legs and pizza spell "Crisis". 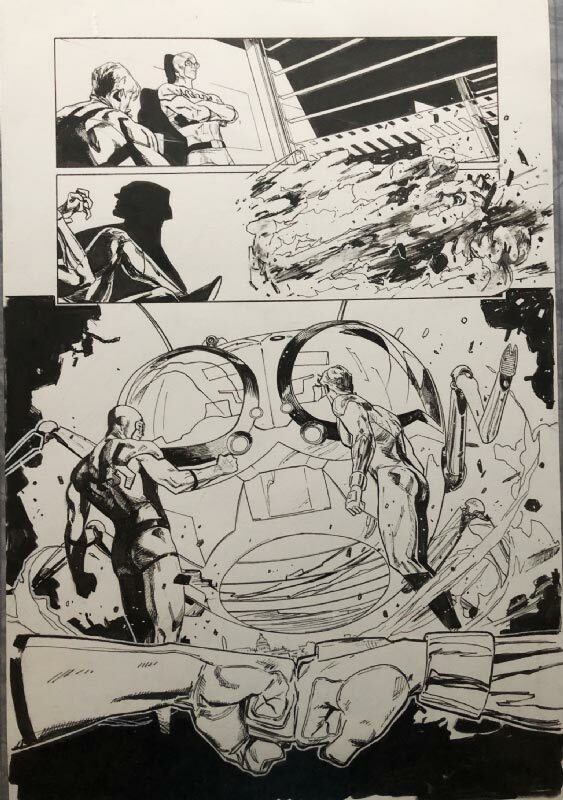 Not to mention the beer bottles spell "IN"
If Booster Gold stole six super powers and then stole nine more, how many super powers has he taken in all? If Booster Gold had seven costumes and Doomsday destroyed three of them, how many costumes remain? 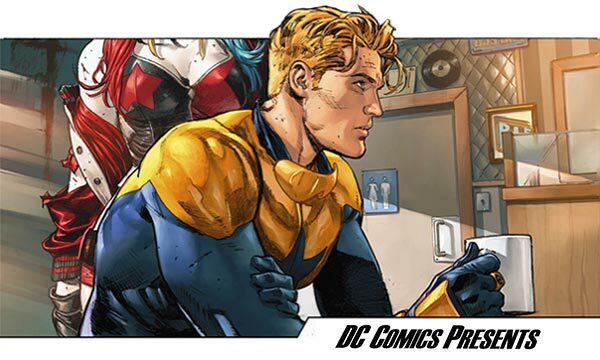 If Booster Gold gave five news interviews and then gave five more, how many interviews has he given in all? If you had ten dollars and then spent eight dollars on Booster Gold comics, how many dollars do you have left?